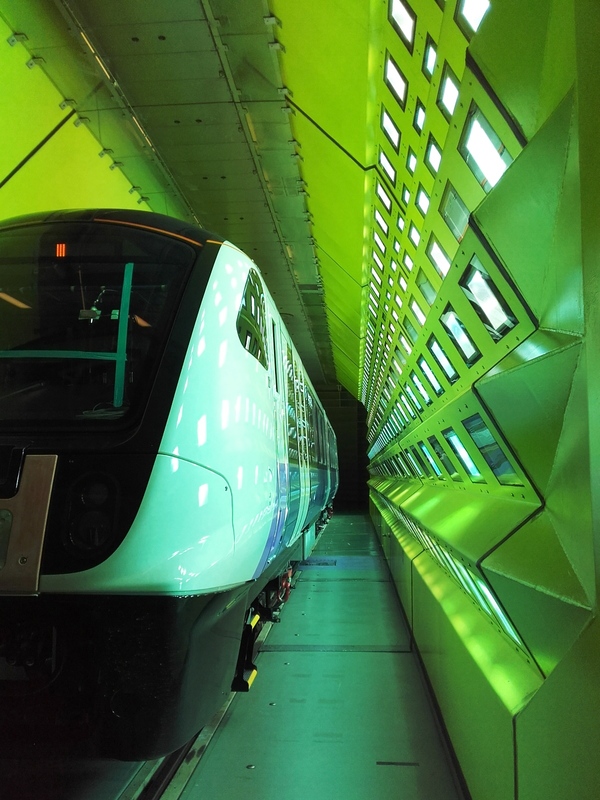 Elizabeth line train as it undergoes all-weather testing - Crossrail . For information about the Elizabeth line please visit the Transport for London website. 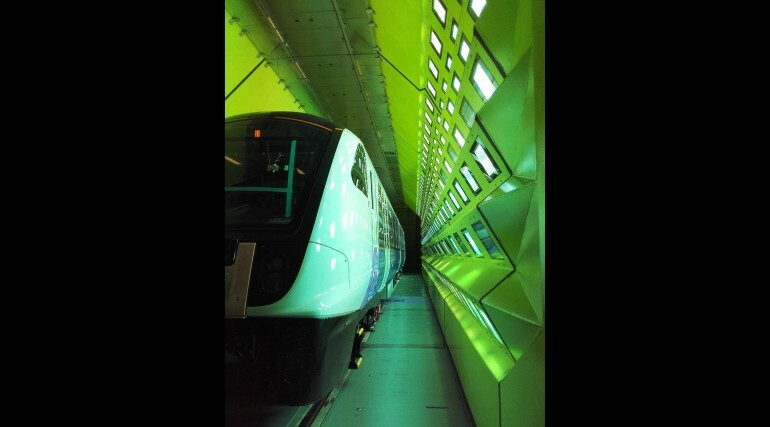 The new Elizabeth line trains, that will improve travel across London for hundreds of thousands of Londoners, are undergoing the most intense testing possible in readiness for any possible weather conditions they could encounter. 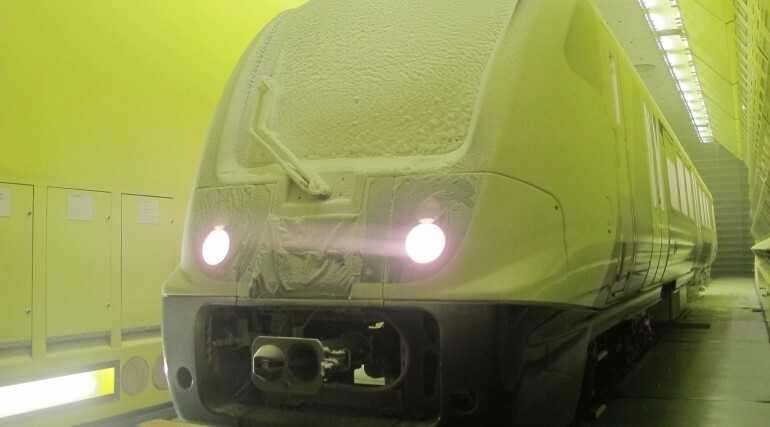 Bombardier Transportation, which is building the new trains in Derby, delivered the front carriage of a test train to the Rail Tec Arsenal test centre in Vienna for three weeks of testing in a number of weather conditions, with temperatures ranging from -25ºC up to +40ºC. 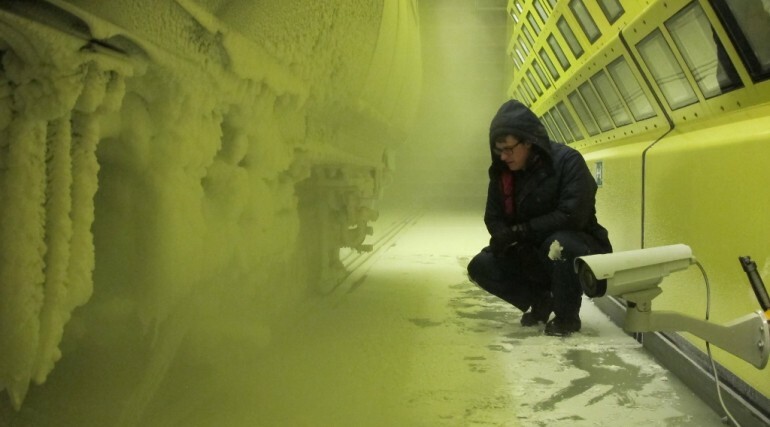 The facility in Vienna is the only place in Europe that can carry out this level of testing on trains. 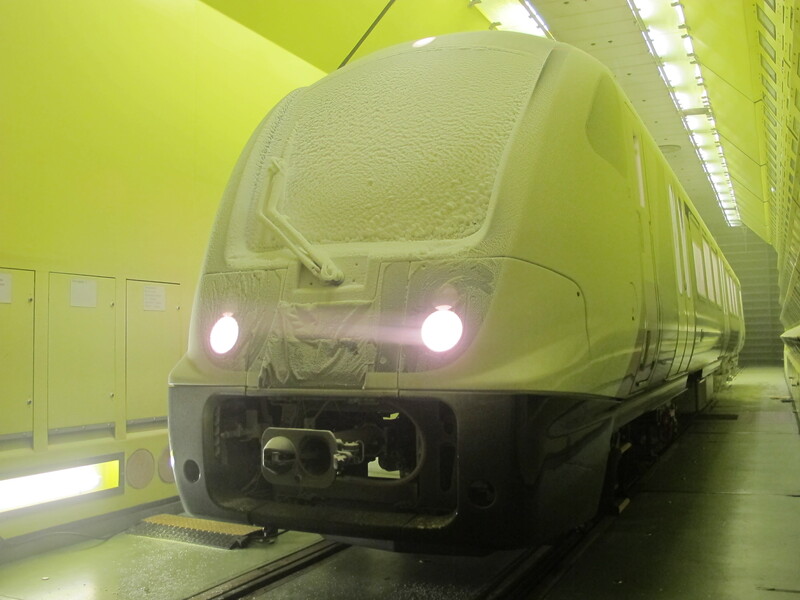 The heating, ventilation and air-conditioning system, windscreen wipers and demister, train horns and the traction motors all went through intense simulations of hot, cold, windy and foggy weather to check that they can still function in all weather conditions the train may face when operating through London and beyond. Bombardier continues to build the first trains which will be tested in Derby before coming to London where the drivers will learn to drive them with the first train due to enter service in May 2017. The trains have been tested at the Bombardier site in Derby, the Old Dalby test track and will be overnight tested in east London. The first trains will be seven-carriages long operating between Liverpool Street and Shenfield from May 2017. The first full length, nine-carriage trains will be first introduced between Heathrow and Paddington from May 2018. When fully operational in 2019 the Elizabeth line will serve Reading and Heathrow in the west through to Shenfield and Abbey Wood in the east, passing through new tunnels under central London. The trains are based on Bombardier's latest Aventra design which was designed in the UK. TfL and train manufacturer Bombardier have worked on the designs of the new trains, based on Bombardier's latest generation Aventra train, with Barber & Osgerby acting as design advisors on the project. The Climatic Wind Tunnel operated by Rail Tec Arsenal in Vienna opened in 2003.